His latest book, “Cooked, Natural History of Transformation” is officially available April 23, 2013) adding to the many books he has authored, including four New York Times bestsellers: Food Rules: An Eater’s Manual (2010); In Defense of Food: An Eater’s Manifesto (2008); The Omnivore’s Dilemma: A Natural History of Four Meals (2006) and The Botany of Desire: A Plant’s-Eye View of the World (2001). The Omnivore’s Dilemma was named one of the ten best books of 2006 by both the New York Times and the Washington Post. 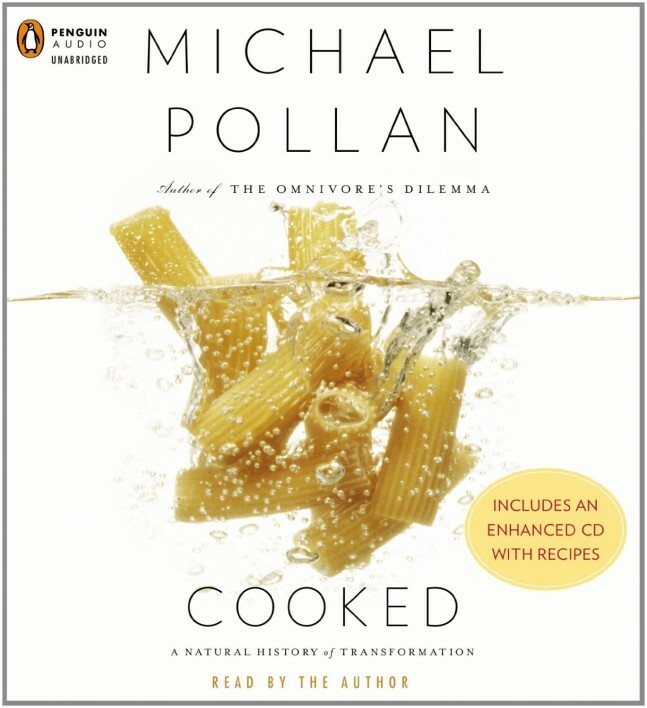 “In Cooked, Michael Pollan explores the previously uncharted territory of his own kitchen. Here, he discovers the enduring power of the four classical elements—fire, water, air, and earth— to transform the stuff of nature into delicious things to eat and drink. Apprenticing himself to a succession of culinary masters, Pollan learns how to grill with fire, cook with liquid, bake bread, and ferment everything from cheese to beer. In the course of his journey, he discovers that the cook occupies a special place in the world, standing squarely between nature and culture. Both realms are transformed by cooking, and so, in the process, is the cook. Each section of Cooked tracks Pollan’s effort to master a single classic recipe using one of the four elements. A North Carolina barbecue pit master tutors him in the primal magic of fire; a Chez Panisse–trained cook schools him in the art of braising; a celebrated baker teaches him how air transforms grain and water into a fragrant loaf of bread; and finally, several mad-genius “fermentos” (a tribe that includes brewers, cheese makers, and all kinds of picklers) reveal how fungi and bacteria can perform the most amazing alchemies of all. The reader learns alongside Pollan, but the lessons move beyond the practical to become an investigation of how cooking involves us in a web of social and ecological relationships: with plants and animals, the soil, farmers, our history and culture, and, of course, the people our cooking nourishes and delights. Cooking, above all, connects us. The effects of not cooking are similarly far reaching. Relying upon corporations to process our food means we consume large quantities of fat, sugar, and salt; disrupt an essential link to the natural world; and weaken our relationships with family and friends. In fact, Cooked argues, taking back control of cooking may be the single most important step anyone can take to help make the American food system healthier and more sustainable.